After a brief hiatus, ‘Good Week/Bad Week’ is back and ready to take a look at the latest round of fixtures across England. The leagues are really starting to hot up, so let’s see who’s in contention as we approach the halfway stage of the season. The Manchester Mos quitoes once again look like the team to beat in the Central & Northern England league. 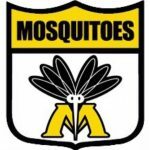 After racking up 130+ points against the Huddersfield Rams and the Nottingham Scorpions, the Mozzies were restricted to just over half that against the Wolverhampton Wolverines this weekend. However, they still extended their record to 3-0 as they won 11.18.84 to 6.10.46 in tricky conditions. 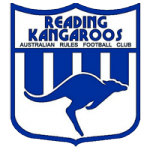 With the Ealing Emus ha ving a bye this round, the Reading Kangaroos knew that a win would take them top of the Men’s Social league owing to their vastly superior percentage. After opening up their campaign this season with two crushing wins over the Giants and Hawks, the Roos defeated the Putney Magpies 8.6.54 to 4.6.30. The 2016 Grand Final runners-up don’t face the Emus until the 14th July in Reading’s designated ‘Family and Friends’ Fixture. 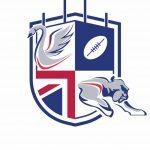 The West London Wildcats swept the London Swans in Round 4, dishing out defeats for all three Swans sides. They included a 174-point mauling in the Men’s Premiership and the Raiders winning by 160 points in the Men’s Conference. 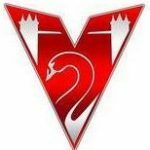 One small crumb of comfort is that the Swans’ Women’s Conference side remain top of the table, despite losing 8.9.57 to 1.4.10. Sometimes it happens, and for whatever reason you’re unable to field a team. That was the case for the Nottingham Scorpions who were due to take the field against the Merseyside Saints. However, for the Saints were awarded a walkover when it was clear the Scorpions weren’t going to be making the trip to Merseyside. The result means the Scorpions sit four points behind the Manchester Mosquitoes, with the Mozzies having a game in hand. The Scorpions’ next game? Against the Mosquitoes. After an opening round against sides from the Welsh Australian Rules Football League, the South of England AFL got their first chance to take on one another in Portsmouth this weekend. When the dust had settled, the Sussex Swans found themselves bottom of the ladder after 42 and 23 point losses to the Portsmouth Pirates and the Southampton Titans respectively. There record moves to 1-4 and will have to refocus for the next round robin weekend in a fortnight. Have a great story? Think we missed something? Email info@aflengland.org!